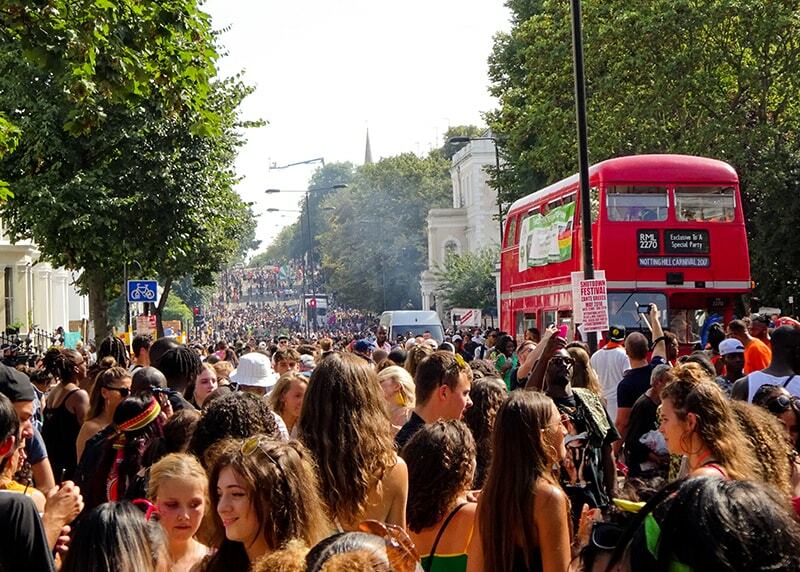 Movement Strategies was commissioned by the Notting Hill Strategic Partners Group to advise on crowd dynamics at the Notting Hill Carniva, the largest Carnival in Europe, held in West London over 3 days in August every year. The crowd dynamics study was undertaken in early 2017 with the objective of identifying opportunities to reduce crowd safety risks at the 2017 Carnival. It was delivered on behalf of the Strategic Partners Group (Mayor’s Office for Policing and Crime, London Notting Hill Carnival Enterprises Trust, Metropolitan Police Service, Transport for London, Royal Borough of Kensington and Chelsea and Westminster City Council). Our involvement highlighted a range of interventions, including changes to site design and operations, a strategic approach to risk, and setting up methods for gathering more information about the Carnival and visitor behaviour patterns. Many of these were successfully adopted in 2017, with others providing a platform for further improvements in future years. Shared space: Do we want it? Shall we plan for it?